General elections in Nigeria are fast approaching, political parties, candidates, party thugs agents, INEC and the whole country is immensely interested in how events at the elections will play out. 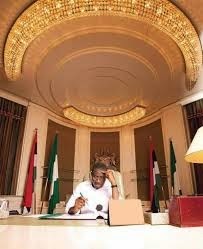 This post is a first in a series of articles informing about the constitutional requirements for contesting elections in Nigeria, here we shall be talking about the office of the President of the Federal Republic of Nigeria. The Constitution provides for the law regarding eligibility into the position of the President and other electoral positions such as the position of the Governor, Senators and members of the National and State Assemblies. 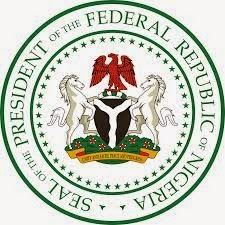 Section 130 of the 1999 Constitution says that “there shall be for the Federation, a President” and such “President shall be the Head of State, the Chief Executive of the Federation and Commander- In –Chief of the Armed Forces of the Federation”. he has attained the age of forty – years. he has been educated up to at least School Certificate level or its equivalent. There have been comments on the age qualification of the President, some believe that the age qualification should either be reduced to 35 or totally removed from the qualifications for the position of the President, do you agree? Other also comment that Independent candidates who are not members of political parties should also be eligible for candidacy. It is the duty of INEC to appoint a date for election into the office of the President and the elections must hold on a date not earlier than sixty days and not later than thirty days before the expiration of the term of office of the last holder of that office as provided in Section 132. Section 136 provides that if the person elected as President dies before taking the Oath of Allegiance and oath of office, or is for any reason is unable to be sworn in, the person elected as his Vice-President shall be sworn in as President. However, when both die before the inauguration of the National Assembly, INEC will have to conduct fresh elections. within 10 years before elections, he has been found guilty and sentenced of a crime involving dishonesty or contravention of the code of conduct. he is employed into the civil or public service of the Federation or of any State, he has not resigned or retired from the employment. he has been indicted for embezzlement or fraud by a Judicial Commission of Inquiry or an Administrative Panel of Inquiry. he has been adjudged a lunatic or person of unsound mind. The position of the President is a very sensitive one as such person is the leader of the nation, he determines a lot about policy development and execution and as such must be a person with a heart to serve and the drive to move the nation forward. Everyone who is eligible to vote in the coming election is urged to vote wisely and not sell their votes. Adedunmade is a lawyer who practices in Lagos, Nigeria.